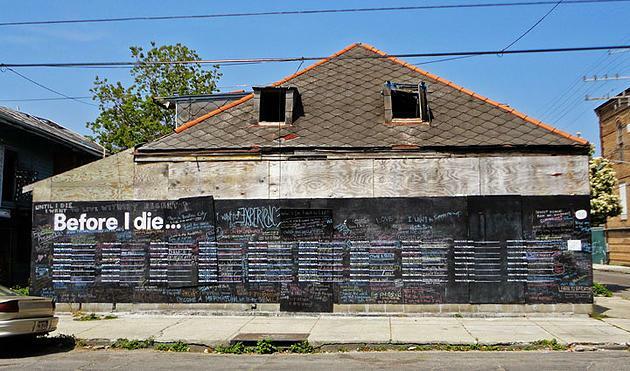 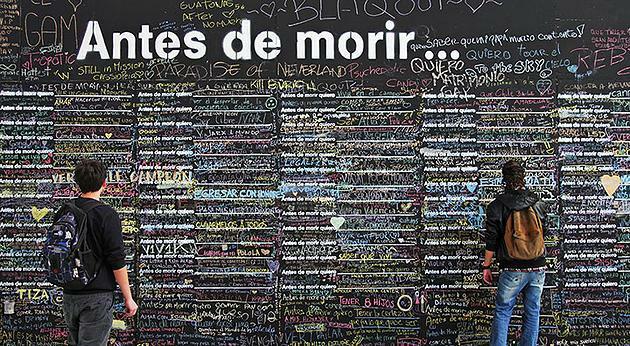 Before I Die is a interactive public art project started in 2011 in New Orleans, LA by artist Candy Changjust after she had lost someone who she loved. 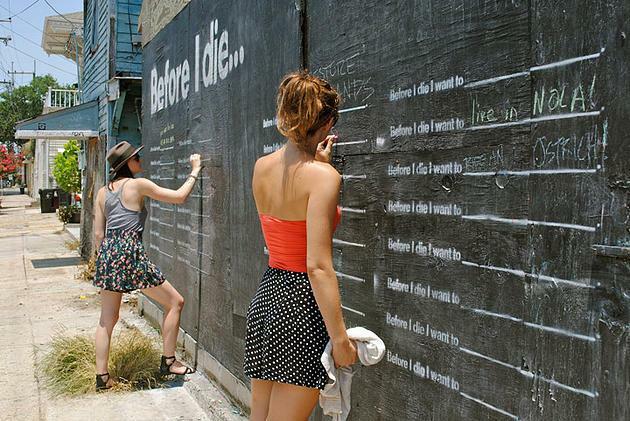 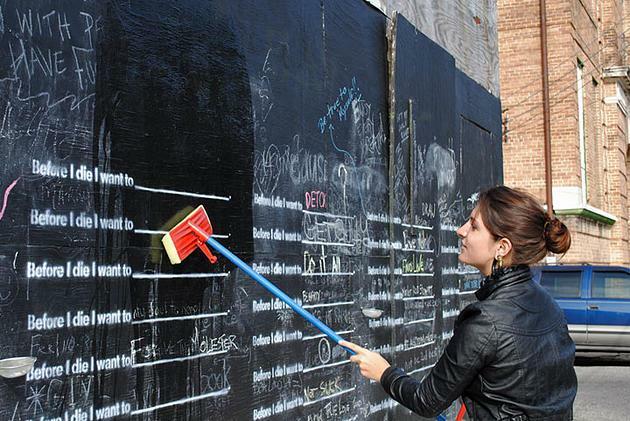 The loss of her loved one inspired Candy to go out and find an abondonned building and paint it with chalkboard paint and then stencil the words “Before I Die I Want To________.” on the wall and placed a bucket with chalk next to the piece. 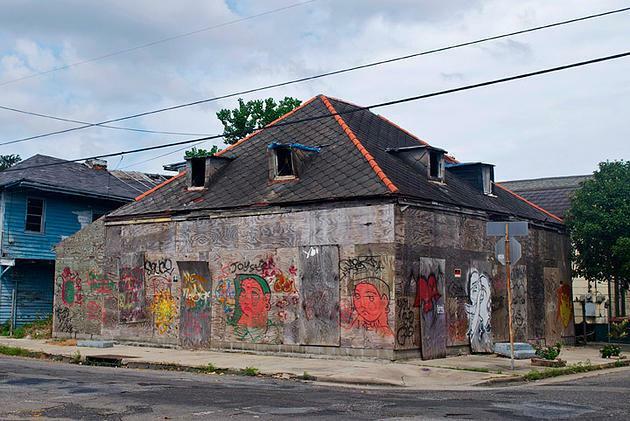 With in no more then a day the piece that Candy had made had inspired many others in the area, soon becoming fully ingulfed in peoples life dreams. 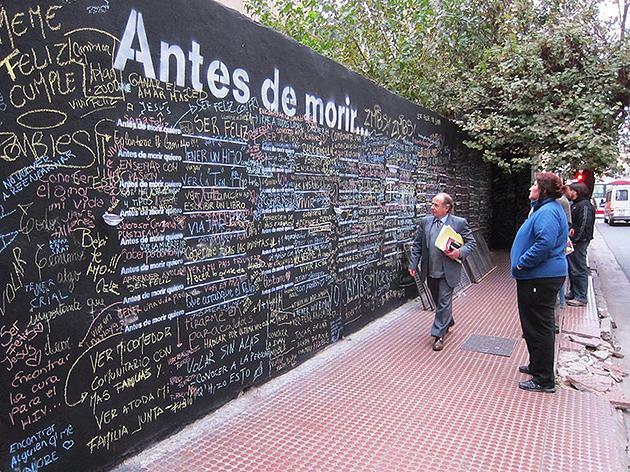 This piece of art was so ifluential that it has since 2011 inspired more than five hundred Before I Die walls to have been created in over 60 countries and over 30 languages by passionate people around the world. 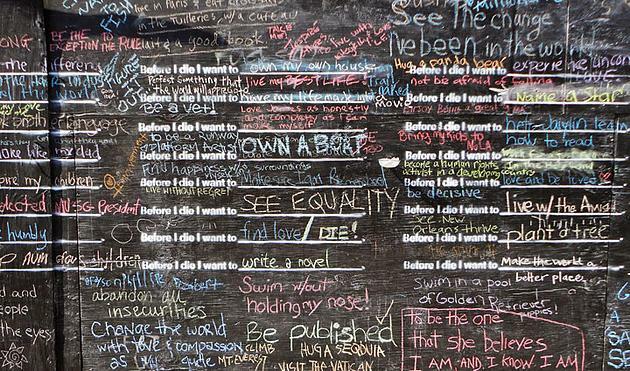 Along with a hardcover book that you can purchase here to remind your self that everyday is a another day to achieve your greatest dreams and desires. 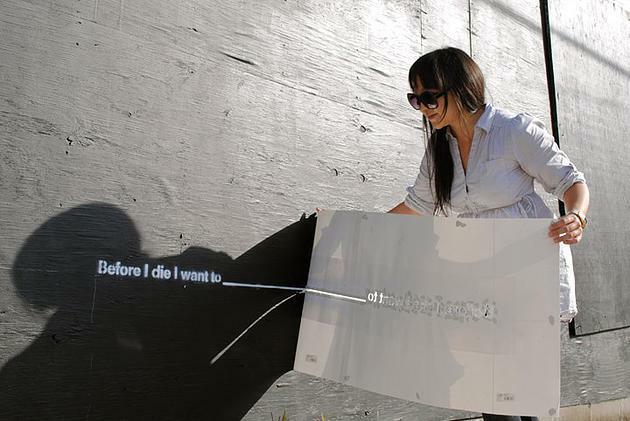 If you are interested in learning more about the Before I Die project or to try and find the wall that is closest to your city or town you can go to http://beforeidie.cc.